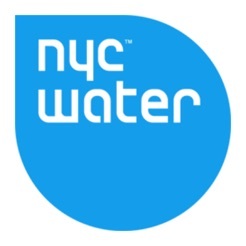 The Water-On-The-Go application helps users locate the various drinking water fountains that are opened during the summer for NYC’s Water-On-The-Go program. 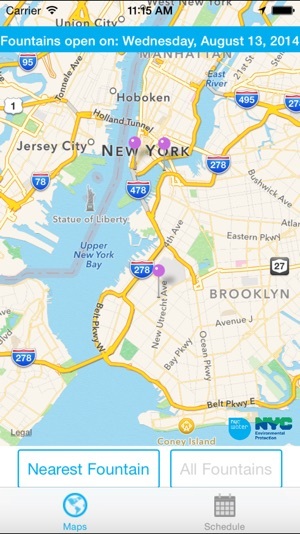 The Water-On-The-Go program brings NYC water to various locations in and around NYC. With the Water-On-The-Go application users can locate and find their way to these various stations over the summer months. This application has a map which is used to visually display station locations and a calendar that shows when stations are opened. You can also obtain directions to the specified station of your choice. All of this is done within the application without the need to use external applications. It’s Healthy: NYC Water helps you maintain a healthy weight because water contains zero calories, zero sugar, and zero fat. A typical 12-ounce can of soda contains about 150 calo­ries and the equivalent of 10 tea­spoons of sugar. Sports drinks, which are marketed as healthy alternatives, have as many calories as sugary beverages and usually contain high levels of sodium. It’s Convenient: NYC tap water is available right from your tap. DEP’s Water-On-the-Go fountains will make tap water easy to get in public places in each of the five boroughs. 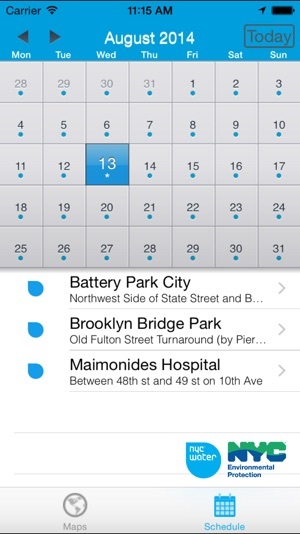 This app is designed only for the months of the year when mobile water-on-the-go stations are set up across the boroughs to provide areas without existing water fountains access to drinkable H2O. Mostly in the summer. Tells me there are no fountains available for any date at all, and is therefore entirely useless. Does not show any water fountains on map. App is entirely useless.